Q. I have vintage JBL L110 speakers and need a new amplifier. The amplifier must have a phono input and I am willing to spend between $1,500 and $2,000. I would also consider new speakers and an amplifier at the same price point if you think it will sound better than my JBLs with an expensive amplifier. I listen mostly to classical music, my room is 15×20 and I don’t play especially loudly. A. This is a great follow-up to my recent column about new vs. vintage stereo equipment. Your JBLs are one of those rare examples of vintage speakers that still hold up pretty well today, so I will provide an amplifier recommendation though my final advice will be to get new speakers, too. I do think a better course would be to buy all new equipment. You can get new speakers and an amplifier/receiver for well under your $2,000 limit, and the system I recommend here will provide much more transparent, accurate and high fidelity sound than your current speakers are capable of producing. Start with the Axiom Audio M50 floorstanding speakers. These tower speakers have a much smaller footprint than your JBLs, yet provide more bass. The M50s have crystal clear, full and balanced sound that will reveal things you never heard before in your classical recordings. Handmade in Canada, they sell for $1,180 including tax and delivery to the USA and can be customized in a wide array of custom vinyl finishes at no extra charge. Genuine wood finishes are available, but the vinyl is of such good quality that it will fool most people while being much easier to maintain than wood. I especially like the Cinnamon Beech and Russian Maple, and you can choose between five different grill colors. 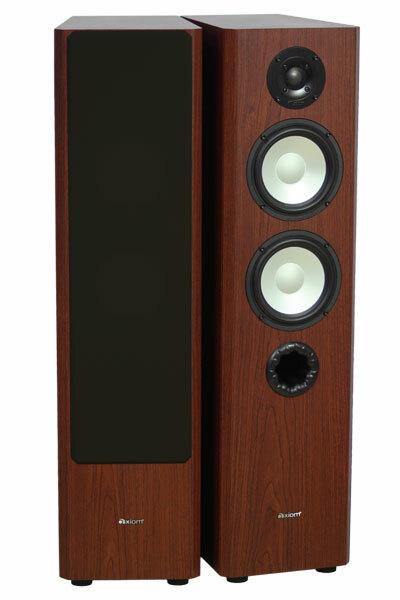 See the M50 speakers and play with the finish customizer at axiomaudio.com. By the way, I had some Axiom speakers on hand at the same time I was reviewing the TA-100 and tried them together. There’s a certain synergy to the combination, and I found the sound from the duo to be incredibly compelling. There is also the intangible that comes with the exclusivity of having audiophile-grade components you don’t see in big box stores, and this system provides that, too. This Axiom/Emotiva combination is several hundred dollars less than the Peachtree amplifier alone, and I would wager heavily that you will prefer it over your current speakers. You can always keep the JBLs around for when you are nostalgic for vintage sound, but when you hear the difference I think you would switch back to the Axioms quickly. In two weeks I will be featuring an outstanding $349 turntable package that would make a dynamite addition to this combination, rounding out a superior sound system for under $2,000. Stay tuned!